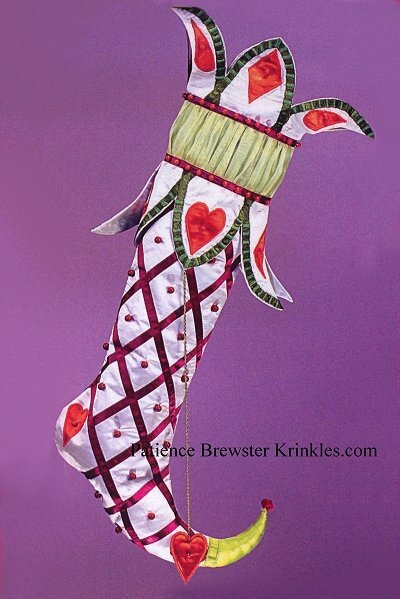 When you think of Patience Brewster you think of her fanciful ornaments and figures but she has also licensed his designs for fine stockings. Patience Brewster Nicholas Santa Stocking. 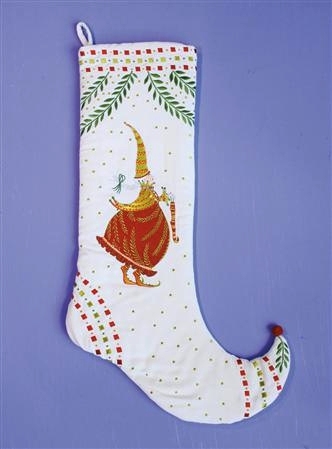 Opening to stocking is @ 8 inches while the height is @ 28 inches. 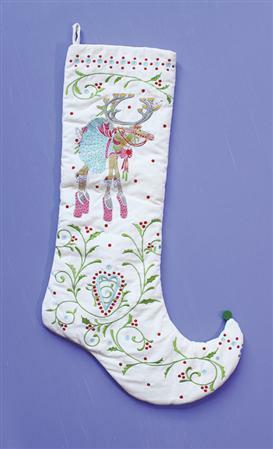 Patience Brewster Dash Away Prancer Stocking. 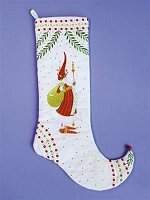 Patience Brewster Dash Away Dancer Stocking. Patience Brewster Mrs. Santa Stocking. 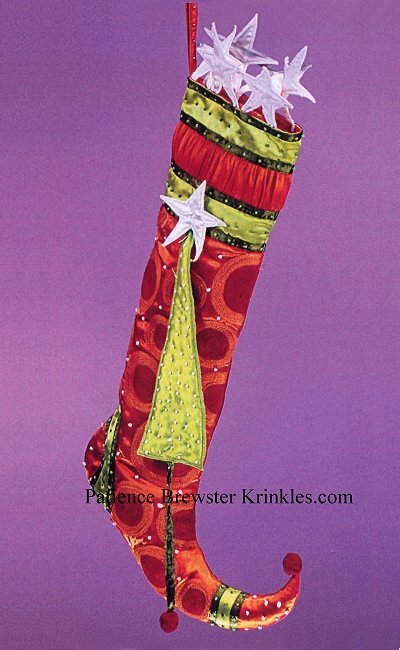 Patience Brewster Dash Away Vixen Stocking. Heart and Diamond Stocking by Patience Brewster. 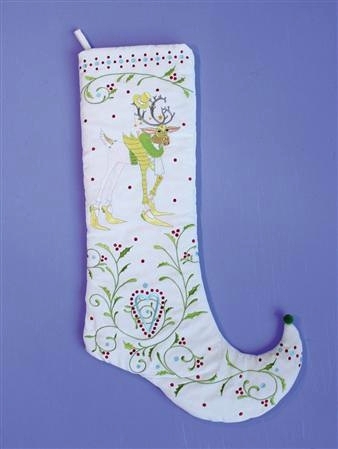 The stocking is 24 inches long by 7 inches wide at the top. Polka Dot Stocking by Patience Brewster. 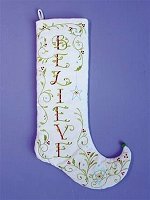 Stocking is 24 inches long by 7 inches wide at the top. 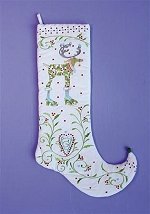 Vine Stocking by Patience Brewster.